Not all lawyers are the same. Many will take a claim before the injured worker even talks to the attorney who will be handling the case! This is type of law firm behavior is prevalent throughout the Inland Empire where so many work accidents happen in factories, retail and the service industry. These law firms may provide fair representation in court, but they do not give the injured client the opportunity to speak directly with an attorney for Inland Empire workers compensation legal claim help prior to the filing of the lawsuit. This means that the client never gets a chance to truly evaluate their unique situation and make an educated decision on which lawyer to pick or whether to file a workmans compensaiton claim in the first place! Call Us For Inland Empire Workers Compensation Legal Claim Help! Here at our firm, you will speak with attorney Alexander Napolin for a free legal consultation. He will provide you with valuable insight about your work injury situation and answer questions you have about what might happen once you file a workers compensation claim. While he cannot predict the future or make any guarantees on the outcome of a possible case you have, he can provide you with his opinion based upon years of experience representing hurt employees throughout the Inland Empire. For your free legal claim help consultation, all you have to do is dial 909.325.6032 and Mr. Napolin will come to the phone to discuss your situation for free. Once you speak with him, you will know where you stand and will be in the best position to decide what to do for your future. Should you decide that you need to bring a claim via an attorney, you will have a good idea that our firm is who you want on your side and not the other guy who never even spoke to you before filing a whole lawsuit. 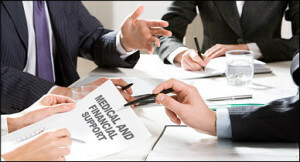 When you retain a lawyer for legal help with the claims process, the attorney will file what is known as an Application For Adjudication of Claim with the local branch office of the WCAB, which is an administrative law court set up by the California executive under the authority given to it by the California legislature. A judge is assigned to the claim. Here at Napolin Law Firm, we will provide a strong voice on your side for the benefits and compensation we think you should be getting under your employer’s work comp policy. Should a disagreement arise that cannot be resolved, we take the case to trial before the WCAB! That simple. When you retain our services, you pay nothing up front, at all. 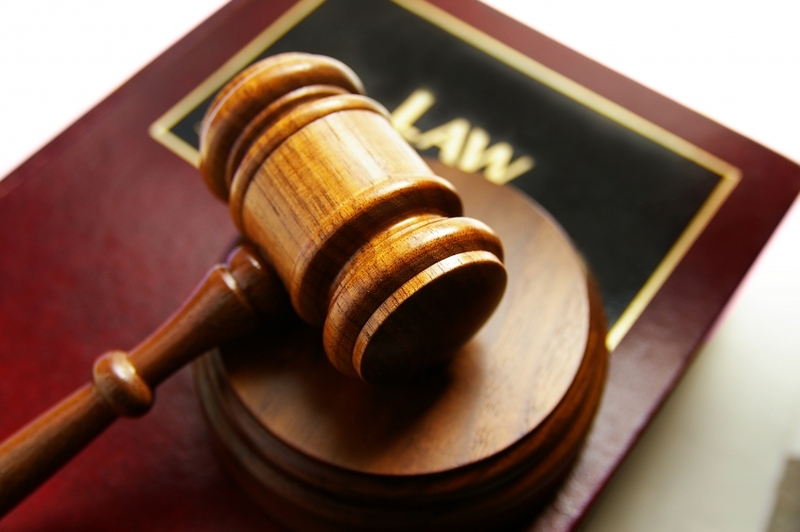 All cases are taken on contingency fee which means that the attorney fee is taken from the final award. Here at our firm, that amount is a low fifteen percent of total monetary recovery. This way of being paid means that you pay nothing up front and that our attorney fee is based on the amount you collect, not on the hours that we work to get you there. This type of arrangement is extremely beneficial for those without the money to pay for legal help. 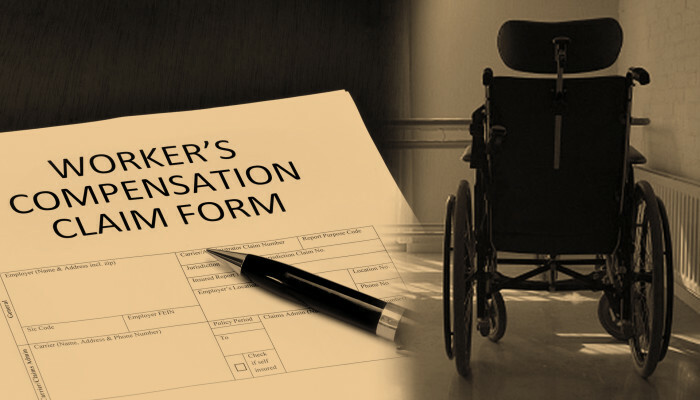 For more information on workers compensation, you can visit us at www.WorkersCompLawyerIE.com or call Mr. Napolin at 909.325.6032! Call today for Inland Empire Workers Compensation Legal Claim Help! This article was posted in Fontana California, Inland Empire California, Ontario California, Rancho Cucamonga California, Workers Compensation Law and tagged Accident Injury On The Job, Attorney, Inland Empire Work Injury lawyer, Inland Empire Workers Compensation Legal Claim Help, Workers Com Lawsuit.